A new logo and stationery for Dorset-based physiotherapist. After taking time to get to know the company, I produced a classic logo design – traditional and formal to fit the tastes of target clients, yet also flat and modern, with current colours. 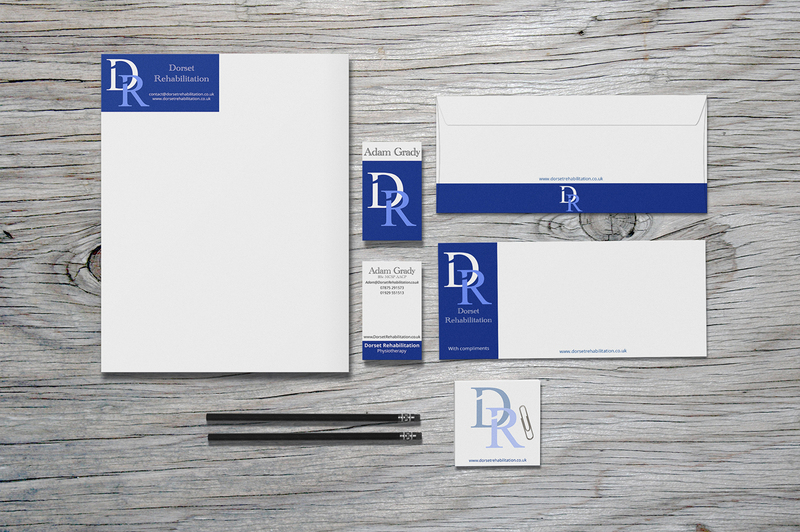 This branding was carried over in to custom company stationery, including business cards, compliment slips and letterheads. I provided advice on printing formats and materials, as well as providing a style tile for consistent implementation of the Dorset Rehabilitation branding. Dorset Rehabilitation, specialist physiotherapy rehabilitation in the county of Dorset. Illustrator and Photoshop, business cards printed by Moo on 350 GSM matte.